As a prerequisite to the use of the Finnish National Hospital Discharge Register in psychiatric epidemiological research, we studied the diagnostic reliability of the register in terms of the psychiatric morbidity experienced by a national birth cohort. We investigated all entries to the register for a sample based upon the Northern Finland 1966 birth cohort at the age of 16 years (n=11017). Until the end of 1993 (age 27 years), a total of 563 subjects had a register diagnosis indicating a psychiatric illness, 37 of them being schizophrenia. 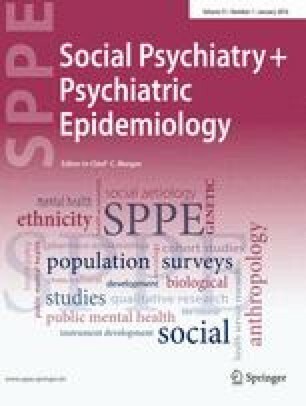 When operational criteria (DSM-III-R) were applied to clinical information in the available original hospital records for cases of psychosis, personality disorder and substance abuse (n=249), 71 fulfilled criteria for schizophrenia, including all of the 37 cases in the register and an additional 34 (48% false-negatives), most frequently diagnosed in the register as schizophreniform or other psychosis. Despite the official use of DSM-III-R nomenclature, it appears that the clinical concept of schizophrenia in Finland, manifest within the register, remains very restrictive. The application of operational criteria is a necessary prerequisite for scientific research on schizophrenia.